Hever Castle golf course is set in 250 acres of Kent finest country side. Hever has 2 courses, the 18 hole Kings & Queens Championship course and the Princes 9 hole course. 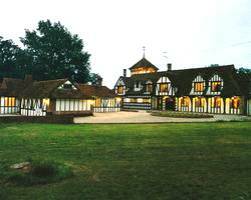 Large club house with bar and restaurant area. The club house also has private rooms available for private hire.